Have you ever thought that it sure would be nice to have an extra bedroom? You could finally have someplace comfortable for guests to sleep. Or, you could split the kids up and finally get rid of the bunk beds and bickering. Maybe your or your partner’s parents are coming to live with you, and you’re in need of a little extra space. Maybe you’d like to make a little extra income from renting a room. While you may not have extra “official” bedrooms to spare, the solution may be just within reach. The reasoning for each family is different, but it’s producing the same idea in creative thinkers across the country: why not turn the garage into a bedroom? Converting a garage into a bedroom, while not an enormous project, is still a significant one. It takes foresight and planning, some financial resources, and a willingness to see the project through. Before going to work on the walls, it’s a good idea to consider what it will take to accomplish the entire conversion. After weighing the costs against the benefits, then you can decide if the idea is worth making a reality and how to complete the project within your budget and style. As with any construction or remodeling project, there are going to be some drawbacks to consider. When it comes to converting a garage, one of the most significant will be losing your parking space. But if you’re already using your garage for some other purpose, such as storage, or a place for your ping-pong table, this isn’t necessarily a loss. The other big impediment is cost. In order to truly convert your garage, you’ll likely need to install heating or cooling systems, flooring, insulation, electricity, lights, and windows. You’ll have to figure out what to do with the door, too, and find somewhere else for your ping-pong table, record collection, or old school papers. Estimates for this amount of work can range from $10,000-$50,000+. It’s a significant commitment. The upside, however, is that you get another bedroom, which can be a major relief. It helps you to not just live in your house, but to actually enjoy living in your house. If done well, converting your garage can add value to your home for when you, or your kids, eventually sell it. So, assuming you’ve made the decision and want to go ahead with the project, how do you go about transforming your garage into a bedroom? And how do you do it with style? Refitting a garage into a suitable living space starts by making a plan. List the improvements you intend to make, then order them. Most garages will require some combination of flooring, insulation, outlets, heating, cooling, windows, and lights, as well as comfortable furniture. If you have enough experience with all of these systems and enough free time to do the work yourself, that’s excellent. If not, you’ll probably want to find a good contractor to handle some, or all, of the work. Before starting any work, it’s smart to look up the building codes in your area and to apply for any necessary permits. The best way to find a good contractor is by referral from someone you trust. Reach out through your network of local homeowners, collecting references, then check in with these companies and compare quotes. Experienced local contractors will know the conditions of the area and can help guide you to current, effective options for flooring, insulation, and fixtures. Based on your area’s average temperatures, they’ll be able to recommend heating or cooling systems, such as whether to extend your existing ductwork. They’ll also help make sure you stay up to code, preserving the added home value of the renovation. Even with all these improvements, sometimes a converted garage can still feel like, well, a garage. These things linger. 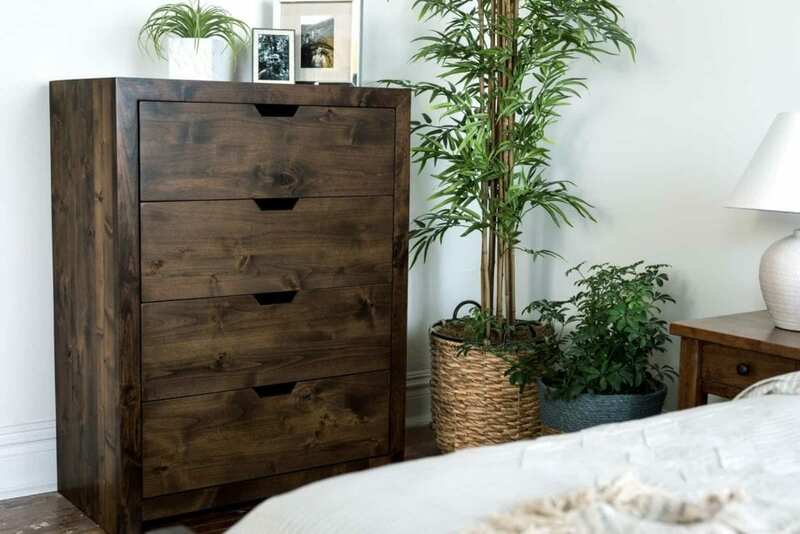 One way to help your new bedroom transcend its utilitarian origins is to furnish it with the care and expectation of longevity with which you’d furnish any other room in your home. For instance, laying down carpet creates a coziness that concrete, vinyl, and wood can’t match. Painting the walls in rich, warm hues makes the room feel as if it’s been indoors its whole life. Drapes for the windows and family photos or artwork on the walls help make a guest room feel like part of the home. If it’s going to be a child’s or a parent’s bedroom, however, it’s probably best to let them decorate themselves. Last, and perhaps most importantly, will be to find quality furniture to complete the room. Well-built, lasting furniture signifies permanence, imbuing the room where it lives with a sense of comfort and coziness. Your new bedroom will need a bed, a dresser, and a night-table, and potentially a desk, depending on the amount of space you have. Filling the room with quickly-built, temporary furniture pieces will only make the entire space feel quickly-built and temporary. Choosing solid, high-quality furniture will help whoever’s living in it feel cared-for and important. Building furniture custom for the room will ensure that it fits perfectly and feels intentional. 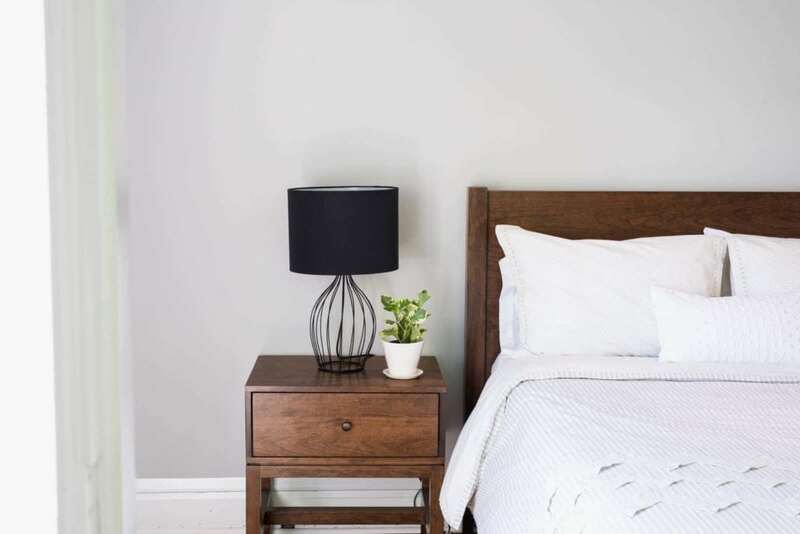 Converting your garage into a bedroom is a big project, but it’s one that can be rewarding both emotionally and organizationally. While some or all of it can be done by yourself if you have the time and experience, finding a good contractor to help with the work will speed the process. Furnishing your new room with long-lasting, custom-built furniture will make it seem like it’s been a bedroom since the start. At Unruh Furniture, we believe in building for permanence. Our sturdy hardwood furniture becomes part of our customers’ lives. Custom built to fit your room, our pieces can give a recent addition a sense of purpose and permanence. Schedule a visit to our Dallas showroom to see what we have to offer. Image 1: The Williamson Bed uses a planked style headboard and posts to better fit into snug spaces. Image 2: A perfect addition to a converted garage bedroom is the Hatfield Dresser with wide drawers for maximum storage space. Image 3: For the finishing touch to your new space, consider a timeless end table like the Barry Nightstand.